Note from Early Returned Honor: I know it’s been a while, and I haven’t been very active in the ERM world lately. When I heard about this program, I decided to go to a meeting and see what it’s all about. I truly believe this is a wonderful resource for ERMs and for those who love them. I think this program will bless a lot of lives, and I hope that you will consider being a part of it if you are able. In August of this year a program was created by a nonprofit organization with the purpose of serving Early-Returned Missionaries (ERM’s). Missionaries leave mission service earlier than they originally anticipate for a variety of reasons, but most, if not all, are faced with a barrage of confusing emotions and thoughts upon returning. Many ERMs choose to isolate within their own homes, fearful of who they will run into while at the grocery store, dreadful of the inevitable two questions Ward members, family, and friends always seem to ask: “Why are you home already?? ?” and “So, when are you going back out?” The purpose of an ERM Mentor is to reach out to these ERMs who are suffering, to reassure them that they are not alone, to be a source of unconditional love and support, and to provide the ERMs with resources which may assist them as they make this often rocky transition. Mission Fortify created the “Early-Returned Missionary Mentor Program” for the sole purpose of assisting those who are now arriving home early from mission service, but over the course of the last three months it has become apparent that the program is also serving the ERM Mentors themselves. The majority of ERM Mentors (approximately 70%) are also ERMs, and have discovered an avenue to find closure from their own experiences as they serve others, share the lessons they have learned, and the insight they have gained since returning home from their mission service. 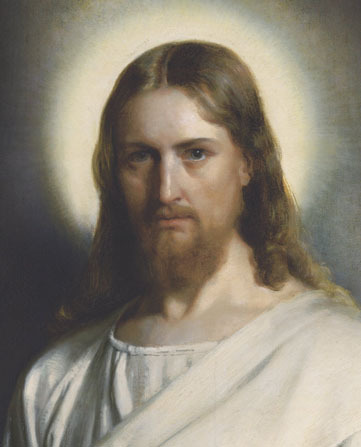 Mentors are volunteers who are active members of the LDS faith. Mentors are either Early-Returned Missionaries (ERM’s) themselves, or are volunteers who understand the struggle ERM’s encounter when returning home earlier than anticipated from full-time mission service. Mentors make themselves available to meet with ERM’s within 48 hours of the missionary returning home from mission service. Mentors offer moral support, empathy, and compassion to ERM’s, and provide ERM’s with a list of local resources which are available to help with the transition to post-mission life. Mission Fortify currently has ERM Mentor Teams representing UT County, Salt Lake County, and Davis/Weber Counties, with the goal of creating Teams in Cache and Iron/Washington Counties within the next three months. Mission Fortify also currently has ERM Mentors representing areas in the States of Washington, California, Oklahoma, Arizona, Idaho, and Georgia, with interest being expressed in New Zealand and Germany. Ultimately, Mission Fortify hopes to have ERM Mentors representing every Stake within the “Mormon Corridor” (as far North as Idaho Falls, ID, through all of Utah, and as far South as Phoenix, AZ), while also giving anyone living outside the “Mormon Corridor” area the opportunity to serve as ERM Mentors as well. You can find a list of ERM Mentor Team Meetings and ERM Support Groups on the Mission Fortify Facebook Page or on the Mission Fortify website. 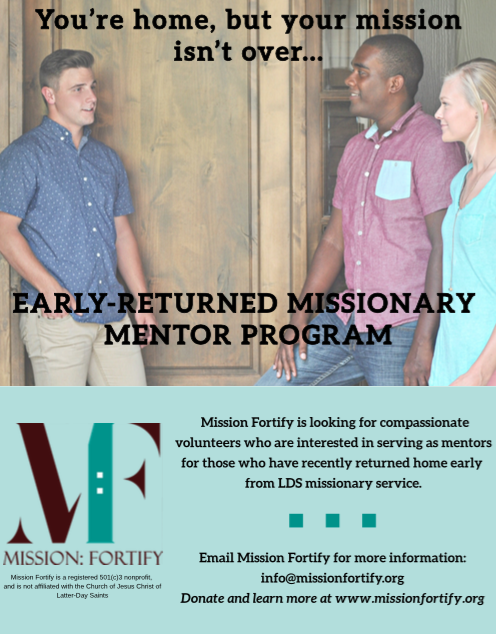 If you’d like more information about the ERM Mentor Program, or would like to know how Mission Fortify plans on serving Pre-Missionaries and Returned Missionaries then send an email to info@missionfortify.org. A year ago yesterday, I hit absolute rock bottom when I felt that I could not go on any more. A year ago today, light came rushing back into my life. This was originally published on my personal blog in November. In my religion class, we have lengthy responses to the topic for the class period. One I was working on this week really hit home to me. Categories: Uncategorized | Tags: Healing, Miracles, Sickness | Permalink.